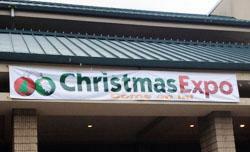 Christmas Expo is a 3-day event for holiday lighting and decorating enthusiasts. This includes anyone who decorates their home or office all the way through someone who decorates their local park or shopping center, or works for a city and decorates the town. 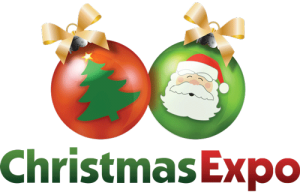 It doesn’t matter if you are a beginner or if you’ve been doing this a while – Christmas Expo offers something for every level (newbies included) and every interest (pro’s are welcome too). Vendors who specialize in lighting, wireframes, animation, supplies and more are usually in attendance. Many of our vendors also carry supplies for other holidays as well. The best part of Expo is the classes! We offer a wide range of seminars and workshops that all revolve around some aspect of decorating. It could be how to work with animation software from various vendors, DIY decorations, securing your display, how to repair your inflatables, creating great Christmas trees, soldering, electrical and more. Let’s face it, if you decorate for Christmas, you have that somethin’ SPECIAL going on with your decorating self! Decorators are a wonderfully friendly and sharing bunch. There’s no better place to meet up with others who share your passions and talk lighting, decorating and more. No one but another decorator can understand the need to start planning displays in July when everyone else is planning on building sand castles. We make sure that there is plenty of time to chat with vendors and connect with like minded folk. Formerly known as PLUS, Christmas Expo is still run by over-the-top decorating divas who understand what it is you’re looking for at an event like this. If we can answer any questions for you, please let us know.